First things first: "My" episode is entitled "Command+P" and production told me that it is slated to air on January 4. Dude. I had a GREAT time yesterday! My call time was 9:30AM, and we shot at CBS Radford in Studio City, so it was a very short drive from my home to the lot. A couple of minutes after I woke up, I received a phone call, asking if I could get there earlier because they were ahead of schedule. "Yes." So, I got there early, parked, found the 2nd AD (Hi Linde! ), and put my things in my trailer. It was one of the nicer ones that I like, not the little (depressing) Honeywagon with the bench over the toilet (and yet I remember my first commercial shoot, 7 years ago, and I was HAPPY to have one of those). Anyhoo, hair and makeup were next. As usual, the hairstylist was happy that I arrived with my hair already done. When I went to my fitting, my hair was in a big curly fro, and there was NO WAY my costume cap would fit over all of that wildness, so I parted and cornrowed my hair in two large braids around my head. Hair done? CHECK! The makeup artist was wonderful. 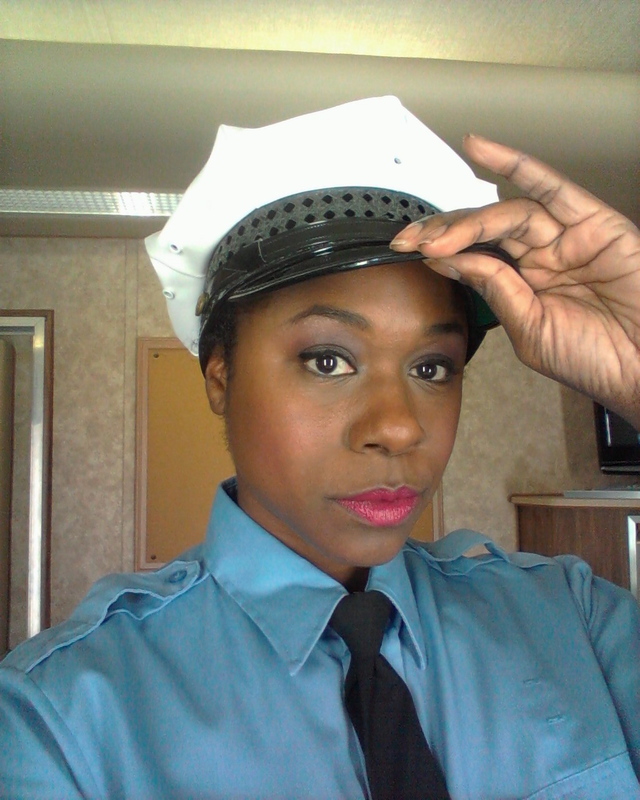 In the script, I was in a blue-collar job, but it was clear that my character wasn't supposed to be a broken-down, beaten-up sista in this scene, so I got to get a little glam. I told her to just keep putting makeup on me until I yelled "uncle." lol It looked great. Especially the lip color. Then I went to my trailer to get dressed and chill for a bit. Linde picked me up in the golf cart to take me across the lot to the set, and when I arrived, I stood there wide-eyed, taking it all in. I truly had been transported to NEW YORK! It was a real testament to the crew. So there I was, in my uniform, with a cap and a winter jacket. There was (fake) snow on the ground, and between takes, I had to take off the cap and jacket, the hairstylist would wipe the sweat from around my hairline, and I would stand in front of a gigantic fan (that I referred to as my "Beyoncé fan"). It was 91 degrees, and I was in a winter jacket. I love this job. I truly enjoyed working with the director, Howard Deutch. When working, actors have to translate words into emotion, and then live in that emotion with cameras and tons of people watching. "Actors' directors" understand that and are able to say things in a way that makes the process easier. I learned some things yesterday. Thank you, Mr. Deutch. I got home and sat on the couch until I had enough energy to pry myself off of it and get into the shower. After that, it was a wrap! I slept for 12 hours straight, and woke up sore from all of the falling. As always, I am looking forward to seeing what they do with it... but it will be a while, so until then - I'm on my hustle. Congratulations Nicole! 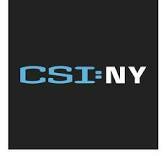 I love CSI: NY. I'll definitely have to check it out.